If the tank dies, it is the healer’s fault. If the healer dies, it is the tank’s fault. 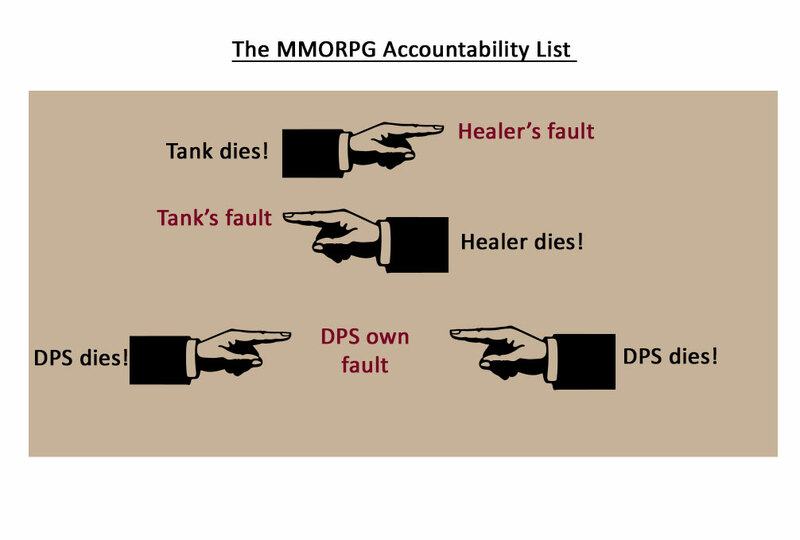 If the DPS dies, it is their own fault. My game notes shared with the world. This list will vary from your offered items if you have not claimed your rewards everyday. Pledges are daily repeatable quests obtained in Mournhold (Deshaan), Elden Root (Grahtwood), or Wayrest (Stormhaven). Zanil Theran is a special furniture vendor that only appears on the weekend to sell rare furniture. Anniversary Week 3 - Alliance War and Battlegrounds dailies 04/18/2019 at 7:00 am – 04/25/2019 at 7:00 am April 18 – April 24 Fight your fellow players! Complete Alliance War and Battlegrounds daily quests to earn Gift Boxes that have a chance to also include Abnur Tharn Outfit Style pages. This includes Cyrodiil Town dailies, all Board missions, the Cyrodiil dailies, the Battlegrounds dailies, and Imperial City dailies. Anniversary Week 4 - Dungeons and Trials 04/25/2019 at 7:00 am – 05/02/2019 at 7:00 am April 25 – May 1 Put your team to the test in Dungeons and Trials. Complete daily quests for any of Tamriel’s Dungeons and Trials to earn Gift Boxes that have a chance to include the Sai Sahan Outfit Style pages. Daily Login Rewards 04/25/2019 at 5:00 pm – 5:00 pm Do not forget to claim your daily logon reward! This site was created using content and materials from The Elder Scrolls® Online: Tamriel Unlimited™ © ZeniMax® Online Studios, LLC or its licensors. This site is not affiliated with ZeniMax Online Studios.